It’s crazy to think this time yesterday we weren’t sure how our crowd would react to our latest campaign. We’d had all the normal good signals (people registering their interest to invest, feedback on our posts, and the normal good crowd response). But, it’s always terrifying to launch a campaign publicly into the world. And, yesterday was no different. To date, we’re the only ones in New Zealand that have done it fully publicly with easy access to our plans. We’re really proud of that fact – fully trusting our process and our crowd. We do things like this because it means we really understand how our users feel, but also because we believe transparency makes us better and stronger. In this round, we’ve done things a bit differently though. We’ve set our minimum pledge lower than previously – at the price of one share. Why? Because we wanted to make owning a piece of us as accessible as possible. And when we launched, our crowd responded. We’ve had 80% of our goal pledged in the first day. Thank you, thank you, thank you. In our launch in Australia – we really want to do this well! Growing in Aotearoa – we want to fund more marketing, education, and support both with campaigners and our alumni. 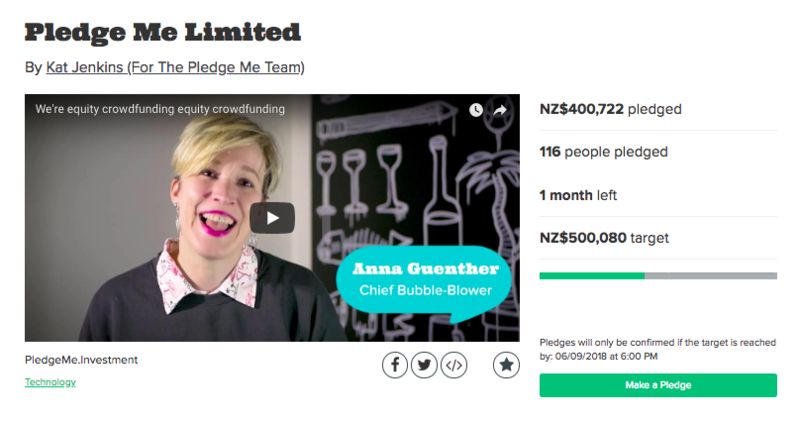 Making equity crowdfunding equitable – while crowdfunding has helped to make investment more accessible it still isn’t good enough. We want to do better. We believe we’ve got the experience, the team, the tech, and now the licences in New Zealand and Australia to keep on growing both our revenue and our impact. If you want to join us for this journey, please head over to our campaign page. First time pledging? Here are some instructions on how to pledge, and what it means to be an investor. Thanks to everyone who has believed in us and our way of working over the years. We really wouldn’t be here without you.